Quan Yin is also commonly spelled Kwan Yin, Kuan Yin, or Kannon. Why so many spellings? Because the name is a transliteration of the Chinese name! The name is short for Kuan-shi-yin. 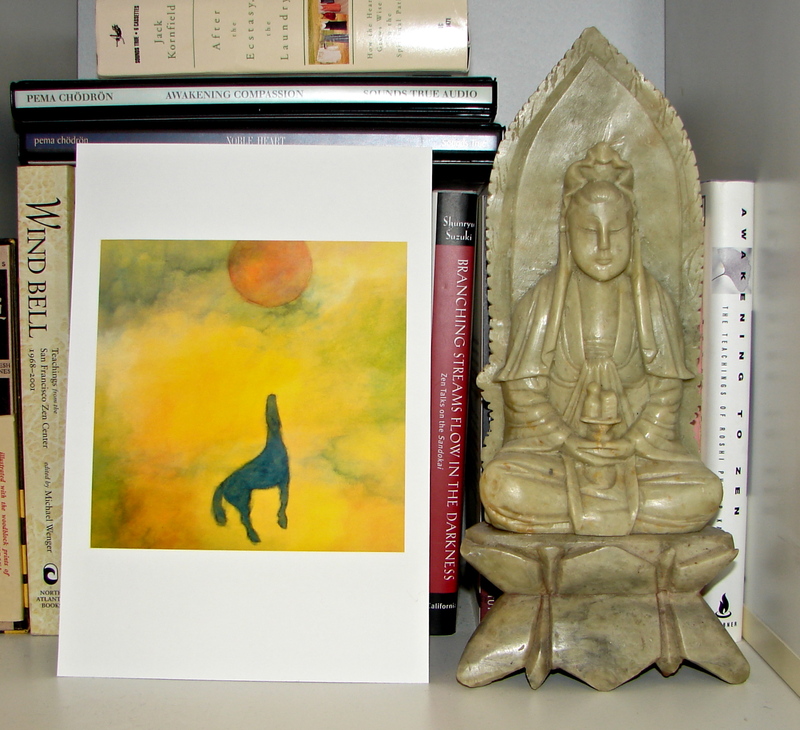 Quan Yin is the Bodhisattva of compassion. A Bodhisattva is anyone who vows to return time and again, no matter how enlightened they are, until all the suffering of all the humankind is released. HE originally was a manifestation of the male deity Avalokiteshvara, a.k.a. Chenrezig, right. It is said that when Avalokiteshvara saw the suffering of the world, he grew 10,000 arms to hold the afflicted, and shed 21 tears. Each tear became a different goddess Tara. 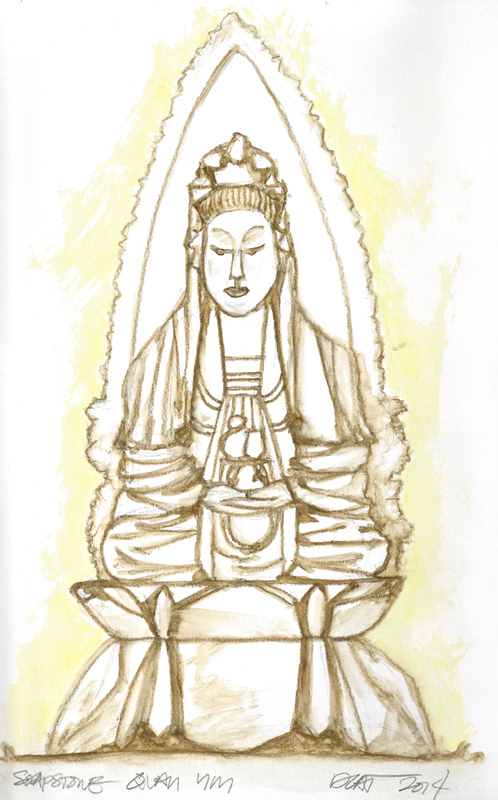 From the 10th century on Quan Yin has taken on a feminine aspect in the far east, beginning with a white robed version believed to be akin to White Tara. SHE (really, either way!) is said to answer all pleas for help. S/he is most often depicted on clouds or waves, holding a lotus blossom and/or a vial containing the nectar of immortality. My first altar statue was the soapstone Quan Yin right, bought 35 years ago in Santa Monica; she is holding the vial containing the nectar of immortality. 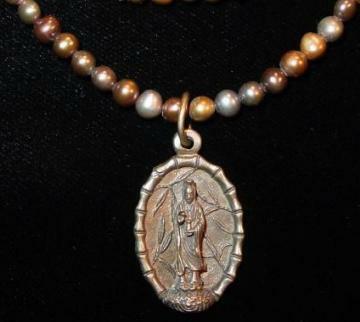 Jewelry (shameless sales plug) is from trishnajewelry — both are me too! This entry was posted in autobiography, buddhism, loss, spirituality and tagged #atozchallenge, buddha, compassion, goddess, kannon, kwan yin, quan yin. Bookmark the permalink. I think the gods and goddesses are universal in many ways. I also see her and Guadalupe, and she sits next to her on my altar!